Greetings from Rev. 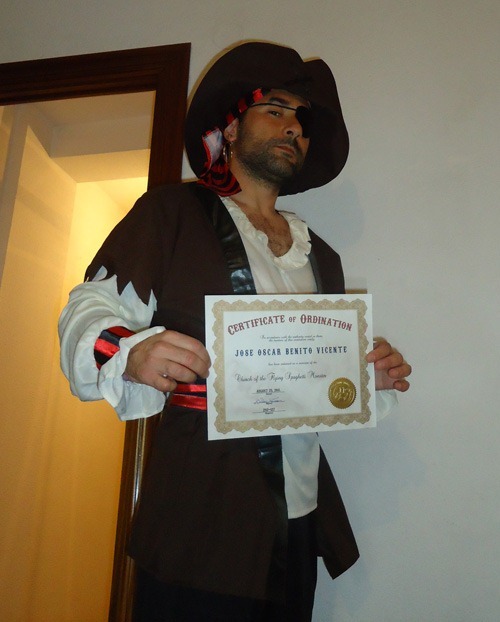 Benito (Spain) on the International Talk Like a Pirate Day. 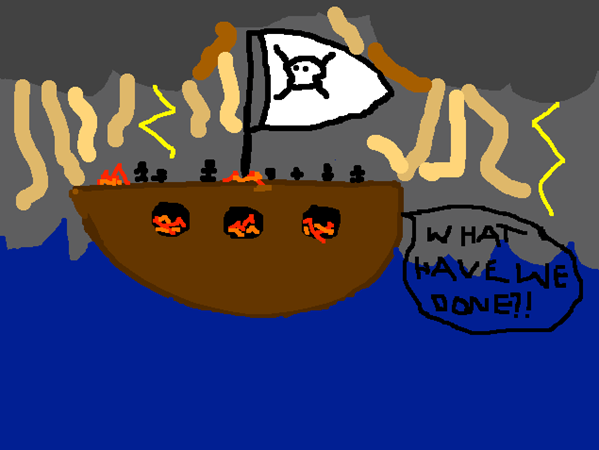 The ship tossed around the open sea, as the pirate crew spun franticly. “OH LORD, WHAT HAVE WE DONE TO UPSET THEE! ?” They cried in utter misery. But alas it was to late, the followers had met their fate. Although all stressed, they would confess that they knew this mess, was their own fault. 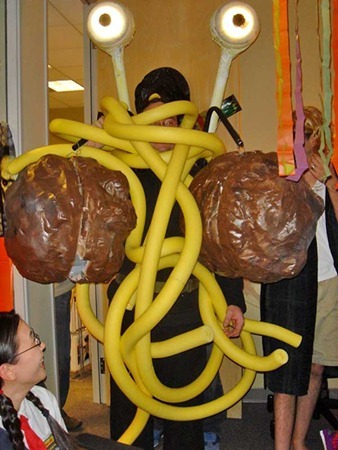 If they wished to be caressed, by his noodlieness, then why did they do less than expected? They always dressed in pirate attire and blessed their meatballs before they chewed. 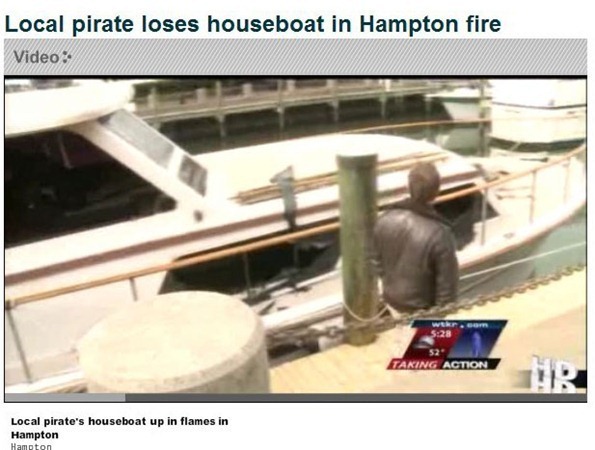 But the pirate’s mistakes were in their fates as soon as they entered the temple. 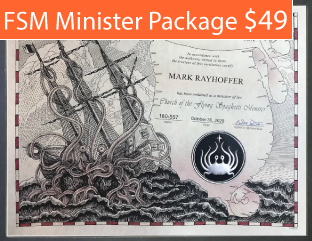 In the town of Noodliopia, the holiest utopia, where only Pastafarians roamed, was a lovely old man, his hair neatly combed, who was the meatball messiah. 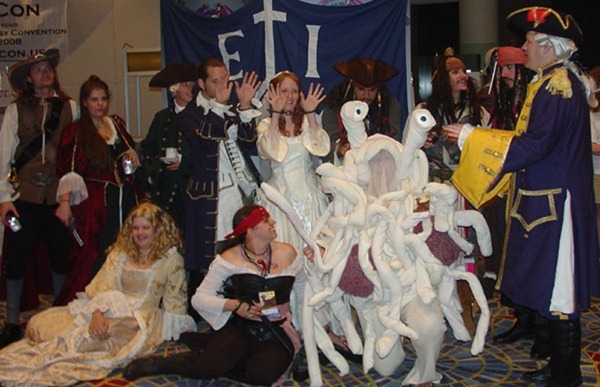 In all of their greed the pirates agreed, that Noodliopia had much potential. 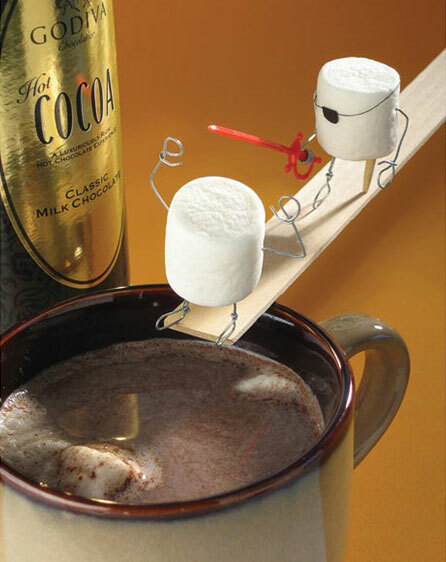 They schemed and gleamed as they cleaned their swords, ready to raid the temple. 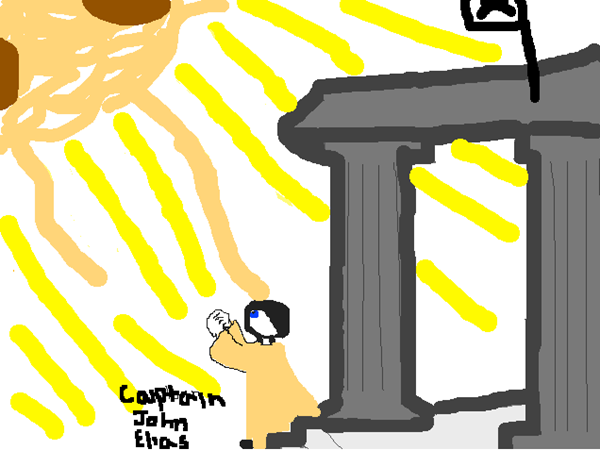 Although in a rush, they came in a hush, not wanting to wake Captain Jones Eliah (the meatball messiah). Soon they had reached, the place they would breach and started to enter the temple. But then out of nowhere, they heard a loud screech as if there was water boiling over. They looked up to the sky as hot water rained down and the town was covered with meatballs. 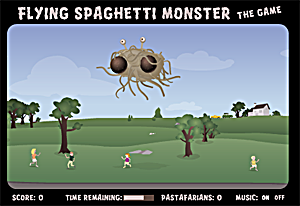 The Flying Spaghetti monster came down in a whirl and banished all of the pirates. 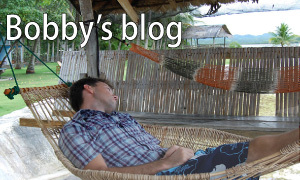 He sent them out far on a horrible quest to find the biggest octopus (It was never found). The Lord was wise and did rise to muster his strength, and with all his great power, he lifted the tower, that was engraved with scriptures. He lifted the temple and the homes of the followers and moved them to a safe place. I thought I’d share my latest battle with science. PZ Meyers is an outspoken atheist and Biologist. I went along to his talk in proper garb and questioned him on obvious discrepancies in his arguments against ID theory. Did you guys hear about this? 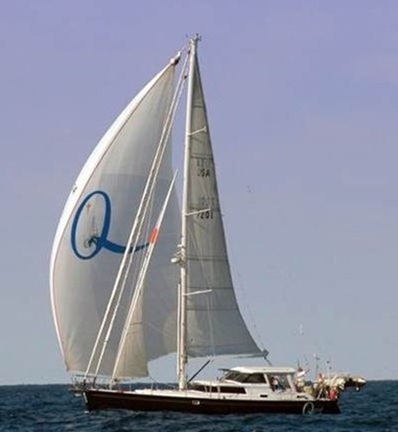 An American couple that has sailed the world with a yacht full of Bibles was hijacked by Somali pirates, and the U.S. said it is assessing possible options. I feel bad for the captured missionaries, and their families. Aside from the fact that the coast of Somalia is one of the dumbest places in the world to be sailing and they should have known better, they are in a nightmare situation now. When they saw the pirates approaching, what did they think? Was their faith shaken? I suspect it wasn’t. But maybe there was a moment before they were taken hostage when they were forced to question whether their God wanted them out there distributing thousands of Bibles. Maybe they saw this as a sign to stop. 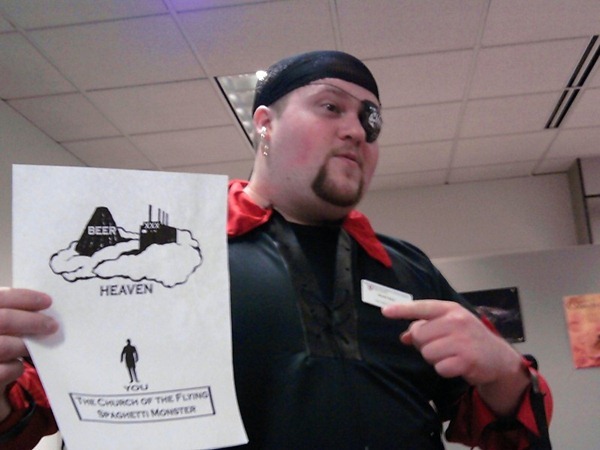 Or maybe they saw it as a sign to evangelize to the pirates? 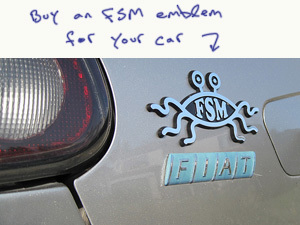 In any case, Pastafarians wish for your safe release, Adams family. Sad, unexpected news … the US Military discovered all 4 Americans killed by the pirates. Four Americans taken hostage by Somali pirates off East Africa were shot and killed by their captors Monday, the U.S. military said. The deaths mark the first time U.S. citizens have been killed in a wave of pirate attacks plaguing the Gulf of Aden and the Indian Ocean for years. It remained unclear why the pirates — who are widely seen as rational, if ruthless businessmen — would kill their only form of leverage. U.S. naval officials insisted they had not launched a rescue operation and are still trying to piece together events. Graeme Gibbon-Brooks, the head of Dryad Maritime Intelligence, said he was confounded by the turn of events. "We have heard threats against the lives of Americans before but it strikes me as being very, very unusual why they would kill hostages outright," he said, adding that the pirates must realize that killing Americans would invite a military response. The military said U.S. forces have been monitoring the Quest for about three days, since shortly after the pirate attack on Friday. Four Navy warships were involved, including an aircraft carrier. I’ve gotten some emails that I should take this post down because it’s “not funny anymore”. But it was never meant to be funny and it’s certainly not meant to be now. 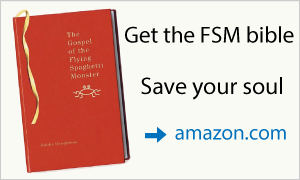 From all indications, the two couples were great people, and so what if some of us did not agree with their chosen missionary work – we are compassionate human beings who feel this is a tragic event. Our condolences go out to the families. 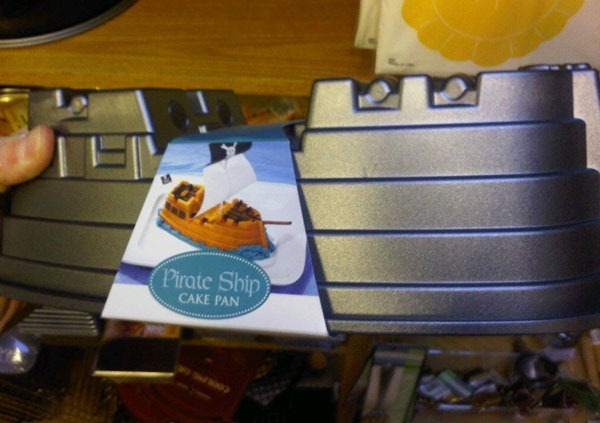 Cristof spotted this pirate ship cake pan on reddit (unknown link). I saw this at our local news site and thought I’d share the sad news. Perhaps a moment of silence before our global temperature increases ever so slightly? 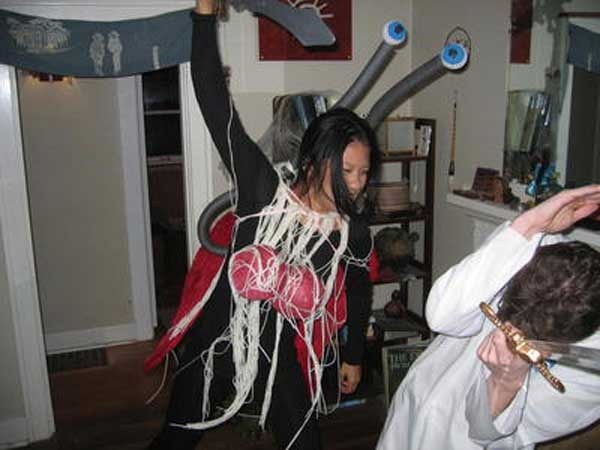 Halloween is a prime Pastafarian evangelism opportunity, the one night of the year that pirates and wenches can walk around in traditional regalia free from persecution. Here’s a collection of Halloween Missionaries, and below that a collection of Propaganda Pumpkins. These are from the last few years. Please send me your photos from this year’s festivities and I’ll add them here.